The Department of Primary Industries and Regional Development is leading the high level planning of the Peel Food Zone. 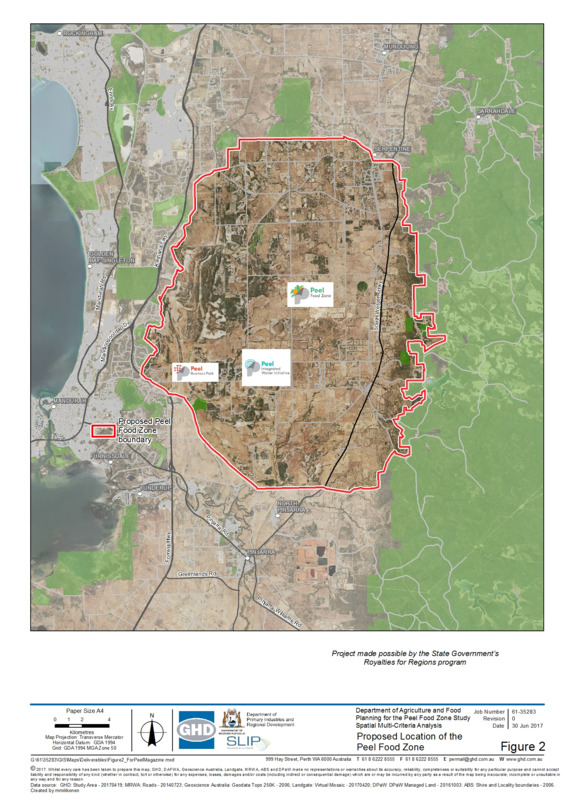 The proposed Peel Food Zone covers about 42 000 hectares across the Shires of Murray and Serpentine-Jarrahdale, north east of Mandurah and aims to be one of Western Australia’s leading agribusiness hubs for research, science and innovative food production enterprises and processing facilities. The Peel Food Zone is one of three strategic elements of the $49 million Transform Peel initiative, led by the Peel Development Commission. What is the Peel Food Zone? The Peel region is strategically positioned to contribute to the food and nutrition security of the Perth Metropolitan area, and greater Western Australia. It also has capacity to capture high-value export opportunities to capitalise on global demand for food. 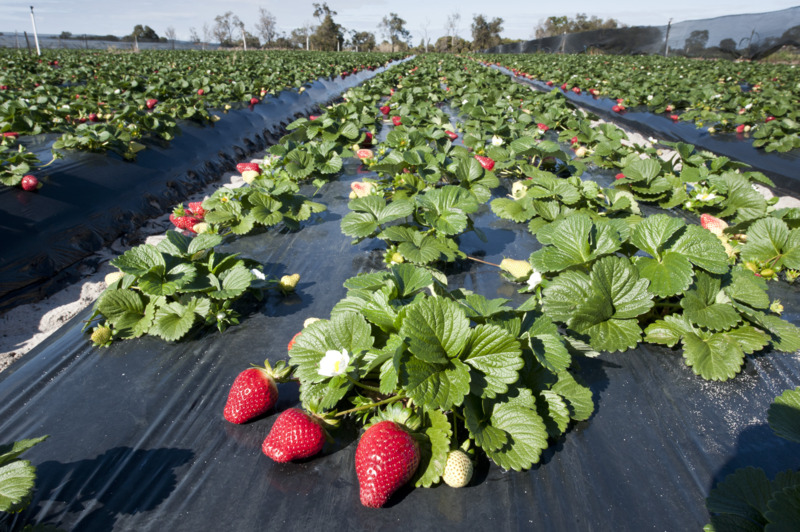 The proposed Peel Food Zone covers 42 000 hectares across the Shires of Murray and Serpentine-Jarrahdale, north east of Mandurah and focuses on opportunities to develop innovative, year-round production of high quality produce, and support the development of food technology solutions. A 'food zone' is a conceptual area used to attract and facilitate new agricultural development. Strategic planning means future food production can be developed in the most suitable areas, considering soil type, nutrient export risk, groundwater availability and land zoning. Environmental conditions to protect and improve the health of waterways and wetlands, native vegetation and water availability in a drying climate are priorities for Peel Food Zone planning. While the Peel Food Zone is not intended to be a formal land use planning zone, it will inform local planning in the Shires of Murray and Serpentine-Jarrahdale and in the Peel and southern Metropolitan Regions. Collaboration with Peel Development Commission, the Shires of Murray and Serpentine-Jarrahdale, Department of Water and Environmental Regulation and Landcorp have been vital to progress on the project. The department is also consulting with local landholders and community groups as part of the planning process. A new study commissioned for the Peel Food Zone has identified areas suitable for intensifying agriculture in the proposed Peel Food Zone. The study, by consulting firm GHD, confirmed the east is suitable for growing a variety of crops and pastures including vegetables and fruit trees where water supplies allow, while the west is best suited to closed systems of agriculture such as glasshouses. New methods of farming in the area are needed to protect wetlands in the Peel-Harvey. The full report will be available from the department's website soon. The department has commissioned consulting firm GHD to identify agrifood businesses in the Perth metro region under development pressure which may consider relocating into the Peel Business Park, to determine their land, infrastructure and servicing needs. We are working closely with Landcorp in this work. The department is working with our project partners to develop an understanding of investor needs, to better target and attract capital to the Peel Food Zone.